Company: SEAZEN HOSPITALITY RESTAURANT AND MANAGEMENT AND CATERING CO.
Manpower: Vison & Value Overseas Pvt. Ltd. 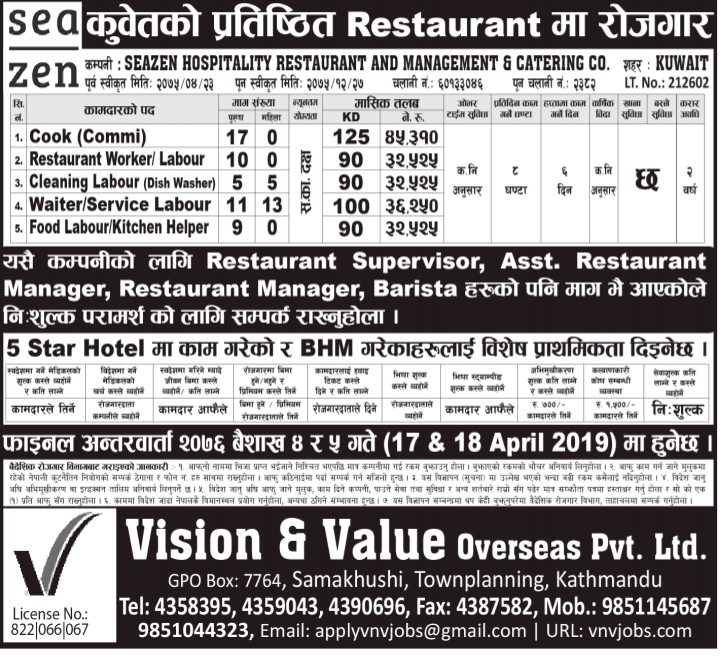 This job was published in Kantipur Dainik on 12th April 2019.